Figureight were proudly commissioned by UK agency Lucky Elephant, to design and develop a digital look book for global apparel giants, VANS. The online look book with membership only access, showcases the brands newest SS17 collection to the worldwide media. 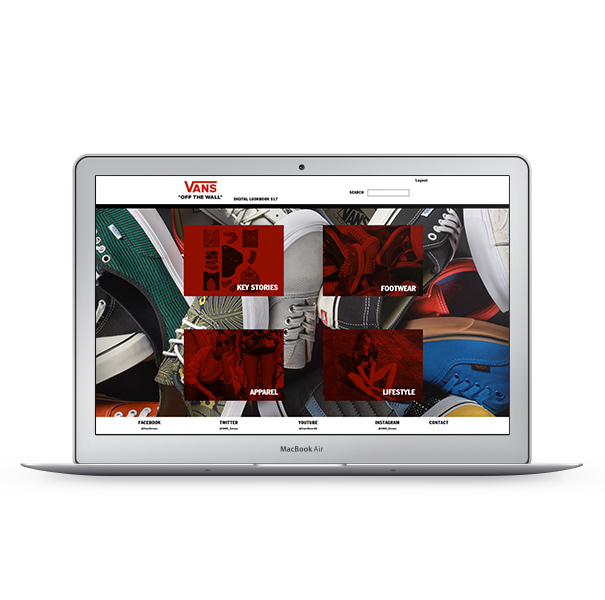 It allows users to search, download brand imagery, and order product samples. Full user reports are provided to the brand, allowing them to maintain communications with their PR offices around the world.